Cate: Please welcome Jack Everett.Jack, will you please share a short bio with us? Jack: At an early age – fleeing a father suffering from brain damage as the result of a road accident – I joined the Royal Air Force and was drafted into the RAF Police. After basic training I chose to work with dogs and quickly progressed into the dog demonstration team, carrying out demos at Royal Tournaments before becoming an instructor which led to my training both RAF and USAF forces in dog security duties. Afterward I became a Training Adviser in the Construction industry for many years. Cate: Tell us about 1/1 Jihad-Britain and where it's available. Jack: My latest work ‘1/1:Jihad-Britain’ tells the story of a Britain bombed by insurgents killing tens of thousands. When the insurgents are found to be Muslims there is a massive reaction from the public as they turn against all Muslims. 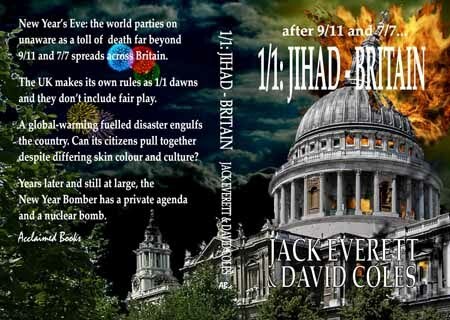 Unlike 9/11 where the big story centered around the twin towers and their destruction the book explores beyond the bombings to how it affects every day people caught up in the after effects; how a new government is voted in and how the Prime Minister handles things. It is a story of anger, pathos, humanity, love and hope which is a lesson to all no matter their faith or belief. When Alan Dove his head of Home Security had gone, Prime Minister Raike got down to finishing the report he’d been reading and finalized the notes he was making. There was a light tap at the door and Maggie came in; she crossed the room and perched herself on an almost clear corner of the desk. Raike reached across and took her hand but remained silent. ‘I want the time we share to be quality time, Francis. Every minute’s worth of it.’ Maggie took a deep breath. ‘I’m not sticking around to hear what you have to say, I don’t want to start doing silly girlish things after all this time… Damn, bloody timing’s all wrong again.’ She wrenched away and left trying to stem the tears without smudging make-up. She paused at the door for final repairs. Jack: He is a normal man with all the faults of a normal man living in an abnormal world where he is expected to do the right thing all of the time. The fact that the reader has access to his leadership of the British government and his fumbled attempts at relationships and long distance fathering make him even more lovable. If not all of the time at least most of it. Jack: This is a post-apocalyptic style world which has never existed before but quite possibly could, and the funniest thing is it could happen in any democracy even the US of A.
Cate: Scary, but very cool. What's next for you? Jack: A novel about a mafia descendant of Machiavelli who owns a vast tract of Florence and makes his money selling information to anyone who agrees to his price. A former member of Britain’s MI5 is drawn into a plot concerning a fortune in missing diamonds and in fear for his life flees to Austria where he discovers more than his backbone. Jack: My youngest son who died 12 years ago on a motorcycle started me off by getting me to make up stories for him. One day I had an idea for a story for him and I started writing it down that was more than twelve books ago and I’m still writing. Cate: I’m so sorry. Hopefully it’s been therapeutic for you. Jack: I am a morning person so that is where I spend most of my mornings in my den with a pen and a pad. I still prefer to write in the old fashioned way as I can’t get my thoughts down fast enough on a typewriter. 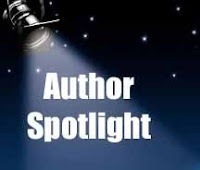 Jack: If anyone reads any of my work and they want to discuss the writing or the plot or anything for that matter will you please contact me as I am always happy to hear from my readers? Cate: Readers, Jack is giving away a book to a random commenter... so start commenting. Because of the distance concerned, he will purchase a copy from Amazon and send it to you - just be sure to leave your email along with your comment so Jack knows how to contact you. Thanks for being my guest, Jack! Best of luck to you. Cate my dear, I would like to thank you for the time you spent formulating and asking me such varied and interesting questions. I hope more people have read the interview than have commented and that your blog continues to grow in both content and popularity. I think the story sounds interesting. Did your previous work help you write your book in any way? Hi Elizabeth, in answer to your question no my job had nothing to do with this novel. I am a news watcher and reader and what is happening in the world should, sadly, be apparent to most people. I thought that by writing a story about what might happen it would make people more aware of the dangers instead of thinking it would never happen to them.